Preet Bharara, the United States Attorney for the Southern District of New York, and Raymond Donovan, the Special Agent in Charge of the Special Operations Division of the U.S. Drug Enforcement Administration (“DEA”), today announced that four individuals charged with participating in a narcotics importation conspiracy arrived in New York from Kenya. BAKTASH AKASHA ABDALLA, a/k/a “Baktash Akasha,” IBRAHIM AKASHA ABDALLA, a/k/a “Ibrahim Akasha,” GULAM HUSSEIN, a/k/a “Hussein Shabakhash,” a/k/a “Hadji Hussein,” a/k/a “Old Man,” and VIJAYGIRI ANANDGIRI GOSWAMI, a/k/a “Vijay Goswami,” a/k/a “Vicky Goswami,” were arrested in Mombasa, Kenya, on November 9, 2014, pursuant to a United States request, based on charges filed in the Southern District of New York arising out of their participation in a conspiracy to import kilogram quantities of heroin and methamphetamine into the United States. On November 10, 2014, a superseding Indictment was returned also charging the defendants with narcotics importation offenses based on their delivery of 99 kilograms of heroin and two kilograms of methamphetamine in Kenya, which they intended would be imported into the United States. The four defendants will be presented and arraigned in Magistrate Court later today. From in or about March 2014 through the date of their arrests, BAKTASH AKASHA, IBRAHIM AKASHA, HUSSEIN, and GOSWAMI conspired to import kilogram-quantities of heroin into the United States. During the same period, BAKTASH AKASHA, IBRAHIM AKASHA, and GOSWAMI conspired to import kilogram quantities of methamphetamine into the United States. BAKTASH AKASHA is the leader of an organized crime family in Kenya (the “Akasha Organization”) responsible for the production and distribution of ton quantities of narcotics within Kenya and throughout Africa. Moreover, the Akasha Organization’s distribution network extends beyond the African continent to include the distribution of narcotics for importation into the United States. IBRAHIM AKASHA is the brother and deputy of BAKTASH AKASHA. GOSWAMI manages the Akasha Organization’s drug business, including the production and distribution of methamphetamine and the procurement and distribution of heroin. HUSSEIN – a resident of Pakistan and a long-time associate of GOSWAMI – heads a transportation network that distributes massive quantities of narcotics throughout the Middle East and Africa, and has acknowledged responsibility for transporting tons of kilograms of heroin by sea. Over the course of several months, during telephone calls and meetings in Nairobi and Mombasa, Kenya, the defendants agreed to supply, and in fact did supply, multi-kilogram quantities of heroin and methamphetamine to individuals they believed to be representatives of a South American drug-trafficking organization, but who were in fact confidential sources (the “CSes”) working at the direction and under the supervision of the DEA. BAKTASH AKASHA, IBRAHIM AKASHA, and GOSWAMI negotiated on behalf of the Akasha Organization to procure and distribute hundreds of kilograms of heroin from suppliers in the Afghanistan/Pakistan region and to produce and distribute hundreds of kilograms of methamphetamine, which they understood would ultimately be imported into the United States. At the same time, HUSSEIN agreed to transport heroin from the Akasha Organization’s supplier in the Afghanistan/Pakistan region to East Africa, so that it could be delivered to the CSes. During a meeting in Mombasa, Kenya, in April 2014, BAKTASH AKASHA introduced a CS via Skype to one of his heroin suppliers in Pakistan, who said he could provide 420 kilograms of 100 percent pure heroin – which he called “diamond” quality – for distribution in the United States. Thereafter, in June 2014, GOSWAMI began discussing with the CSes his ability to procure methamphetamine precursor chemicals and to establish labs to produce methamphetamine for importation to the United States. In a meeting in Mombasa in September 2014, BAKTASH AKASHA introduced HUSSEIN as a narcotics transporter from Afghanistan who moves ton quantities of narcotics using ships. BAKTASH AKASHA and GOSWAMI described the supplier of heroin for their deal with the CSes, to whom they referred as “the Sultan,” as the top supplier of white heroin in the world. In September and October 2014, IBRAHIM AKASHA personally delivered one-kilogram samples of methamphetamine and heroin to the CSes in Nairobi on behalf of the Akasha Organization. Thereafter, during a telephone call in October 2014 between BAKTASH AKASHA, GOSWAMI, and one of the CSes, GOSWAMI reported that 98 “chickens” had arrived, referring to 98 kilograms of heroin. GOSWAMI said that the South American drug organization would only need to pay for half of the 98 kilograms of heroin because the Akasha Organization would cover the cost of remaining kilograms. Then, in early November, IBRAHIM AKASHA personally delivered 98 kilograms of heroin to the CSes in Nairobi on behalf of the Akasha Organization. A few days later, IBRAHIM AKASHA also delivered another kilogram of methamphetamine. In the course these negotiations, the Akasha Organization provided a total of 99 kilograms of heroin and two kilograms of methamphetamine to the confidential sources, and agreed to provide hundreds of kilograms more of each. The defendants were arrested on November 9, 2014, in Mombasa, Kenya, prior to another planned meeting with the CSes. BAKTASH AKASHA, 40, is a Kenyan national and a resident of Kenya. IBRAHIM AKASHA, 28, is also a Kenyan national and a resident of Kenya. HUSSEIN, 61, is a Pakistani national and a resident of Pakistan. GOSWAMI, 55, is an Indian national and a resident of Kenya. The defendants are charged with conspiring to import heroin into the United States (Count One), conspiring to import methamphetamine into the United States (Count Two), distributing heroin for unlawful importation into the United States (Count Three), and distributing methamphetamine for unlawful importation in the United States (Count Four). Each count carries a mandatory minimum sentence of 10 years in prison and a maximum sentence of life in prison. The minimum and maximum potential sentences in this case are prescribed by Congress and are provided here for informational purposes only, as any sentencing of the defendants will be determined by the judge. Mr. Bharara praised the outstanding efforts of the DEA’s Special Operations Division’s Bilateral Investigations Unit. 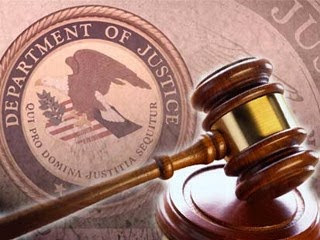 The Department of Justice’s Office of International Affairs also provided assistance in bringing the defendants to the United States to face charges. Mr. Bharara also thanked the DEA’s Nairobi Country Office, the Government of the Republic of Kenya, the Kenyan National Police Services Anti-Narcotics Unit, and members of the Kenyan DEA Formal Vetted Unit. This case is being handled by the Office’s Terrorism and International Narcotics Unit. Assistant United States Attorneys Michael D. Lockard and Emil J. Bove III are in charge of the prosecution. As the introductory phrase signifies, the entirety of the text of the superseding Indictment, and the description of the superseding Indictment set forth herein, constitute only allegations, and every fact described should be treated as an allegation.